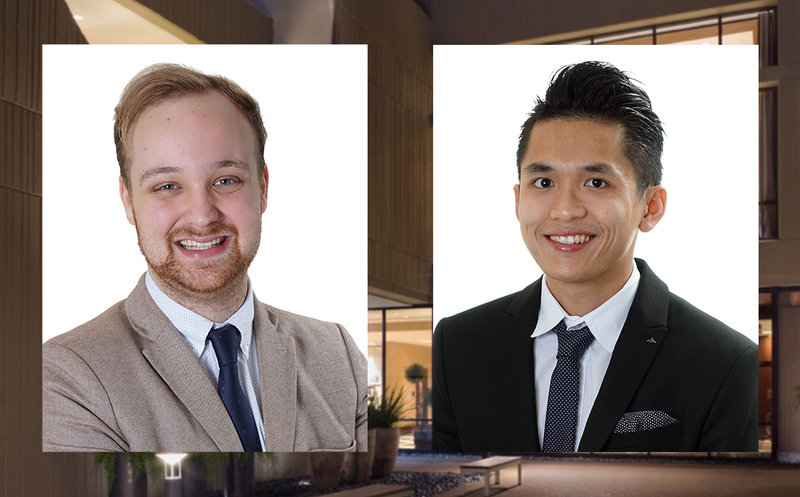 At the 13th Annual Hospitality on Parade (HOP) gala, two Hilton College seniors took the stage to receive the Outstanding Lodging Student Award – Travis Kilway and Tuan Truong. Recipients of this award are nominated and selected based on industry experience, academic achievements, character, integrity, contributions to the College, and participation in College organizations and activities. The event, held this year at the Marriot Marquis on November 16, is organized by the Hotel & Lodging Association of Greater Houston to recognize the best in the hospitality industry. It also helps support the association’s initiatives and proceeds benefit scholarships for Hilton College students. Since its inception, HOP has raised more than $150,000 in scholarship funds. Hilton College students also volunteer to help staff this event. Kilway, who plans to graduate this December, works as a front desk supervisor at The Post Oak Hotel at Uptown Houston, the city’s only AAA Five-Diamond destination. This past June, he was honored with Employee of the Quarter. At Hilton College, Kilway served as a key volunteer for the 45th annual Gourmet Night, and served as vice president of the Texas Restaurant Association Cougar Chapter his junior year. "I always strive to do my best, and this honor has shown me that with hard work, I can achieve the goals I set for myself,” Kilway said. Truong, who also plans to graduate in December with a lodging management emphasis, served as marketing manager for A Taste of Hilton College, and spent this past summer as a front desk and food & beverage intern at the Sheraton Saigon Hotel & Towers in his home country of Vietnam. He will return to the College this fall to pursue his master’s in Hospitality Management.